Appearing charming, yet ultimately being manipulative: performing the character of Baron Scarpia is something of a workout for a singer's emotions. 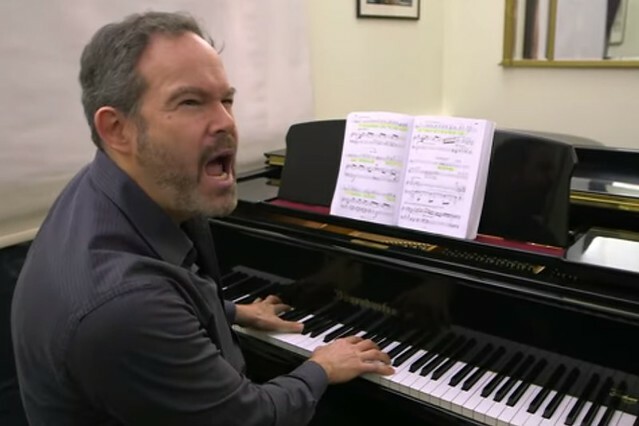 Baritone Gerald Finley shared his preparation for the role as he geared up to perform in the cinema relay of Puccini's Tosca. 'In here is a role which every baritone dreams of doing', he said. 'I can listen to these three opening chords and get an image of what I might be as Scarpia'. The role makes full use of his acting talents, requiring a level of authority, control, and an impressive stage presence; and the music, with many phrases on just one pitch, offers very few places to hide. 'It's a very strong indication by Puccini that there's lots to be got out of the text, rather than the music', Finley explains. Tosca runs until 3 March. Tickets are now sold out, although returns may become available. Probably one of the best Scarpia's I have seen - wonderfully acted - Gerald Finlay's hard work getting into the role certainly paid dividends.